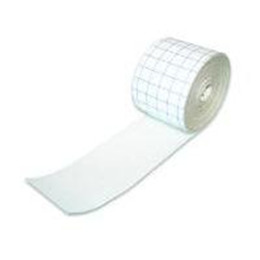 Invacare fixation tape is made of an elastic, non-woven adhesive fabric to cover dressings. Indicated for retention of post-operative wound dressings, gauze and absorbent pads, and to secure catheters and drainage tubes. This highly conformable tape combines security with comfort. It provides reliable fixation and allows joints to be dressed without constraining movement. Invacare ® Fixation Tape is radio transparent and coated with a hypoallergenic acrylic adhesive. Soft, skin-friendly and-latex free.